What does your stock list look like at the moment? Let’s say you currently have 50 properties on the market. Now imagine you could attract TEN new, high value homes, in addition to your current stock, AND at a higher fee. Say, 1.5%. That’s a rise in listed fees of 172%. For just TEN new homes. The difference? These are high value homes. And listed at high value fees. But how do you attract and win high value homes, without sacrificing any of your core revenue? After all, your bread and butter sales pay for office and payroll, so you need to make sure you still get the 2-bed terraces, and 3-bed semis. These new homes are ADDITIONAL fees. And the best news is that you can attract, win and sell these homes with no additional resources. The answer is simple – but not easy. You need the very best property marketing. The best photography, copywriting, brochures and boards. You also need to offer services your competitors probably don’t, like visual branding, home styling and twilight photography. Opening in a new area, with 57 competitors, all competing for the same instructions, meant we had to do something different – radically and visibly different. 3. We need a niche of a sub-market – the sub-market is the unique homes, and the niche: we will only work with clients who truly love our marketing. The majority of estate agents pursue mass market share, which results in lower fees secured, and a high resource cost; thus, lower profit. We made the decision to avoid the low fee cycle. Knowing that by charging the highest fees (1.5% against the highest competitor’s fee of 1%), we can afford the very best property marketing, and therefore attract the best properties and clients. By being selective and charging high fees, we don’t need to take on many clients each year, leaving us free to spend time with our small selection of clients, giving them a VIP experience, as well as time on growth strategies and success planning. We knew we could differentiate ourselves most easily, quickly and effectively by creating a completely new level of property marketing. The professional photography offered by our competitors is no longer a differentiator; we create lifestyle images of beautifully-styled homes. A Ravensworth laminated tent-fold no longer impresses; a bespoke, magazine-style 16-page brochure wins us the very best fees. 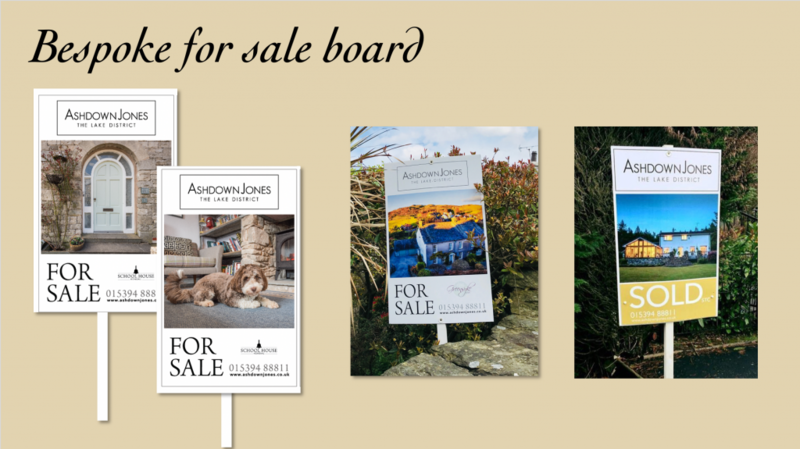 A standard branded for sale board wouldn’t catch the eye of the homeowners we really want to notice us, so we created beautiful, bespoke boards, and our clients love them. Taking your property marketing to a whole new level can make your brand more aspirational, and so give you the confidence you need to walk into a £2million-plus home and win the instruction. If you do what other agents are doing, you’ll get what other agents get. Don’t you want more for you, your team and your brand? If you’re not sure where to start with bespoke property marketing, we can help. My co-director Phil Jones and I are launching a new property marketing brand. Our mission – to enable and empower you to win the best fees from the best homes in your area. …all done for you. All you need to do is to offer it to your 14% of market. And we can even help you with that. 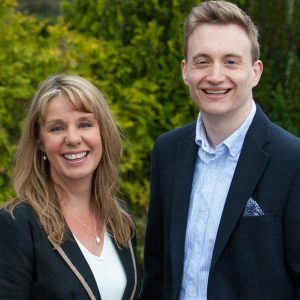 We started from scratch, with no reputation, contacts or history of estate agency in our area. 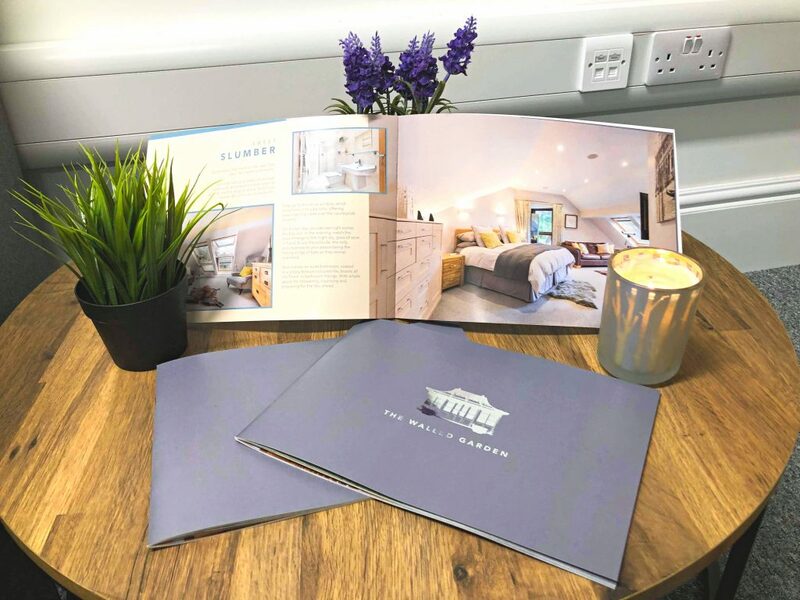 By using bespoke marketing, to attract and win high value homes, we listed 50 homes in our first year, with a combined listing value of half a million pounds. And now we are ready to offer it to independent agents, on an exclusive area basis. The Registration of Interest commits you to nothing at the moment, it’s just to enable us to manage the demand and make sure we don’t exceed our capacity. We’ll book a call to discuss the finer details, so you know exactly what the membership covers and if it’s a good fit for you. Then, once we’re ready to issue contracts, we will ask for a deposit to secure your membership. We’re offering just ten foundation memberships, at a substantial discount. They will be offered to the first ten people that register, so take a minute out of your busy day and do it now, before you miss out.